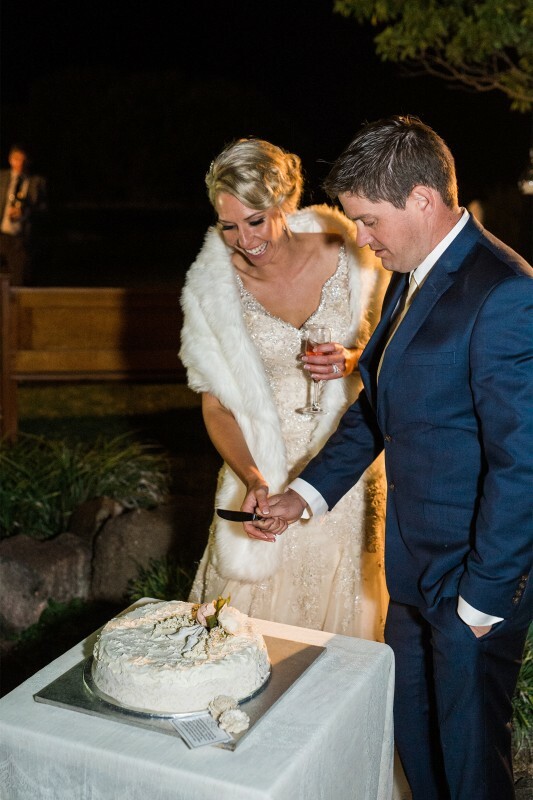 It turns out gate-crashing a party is a gateway to love. 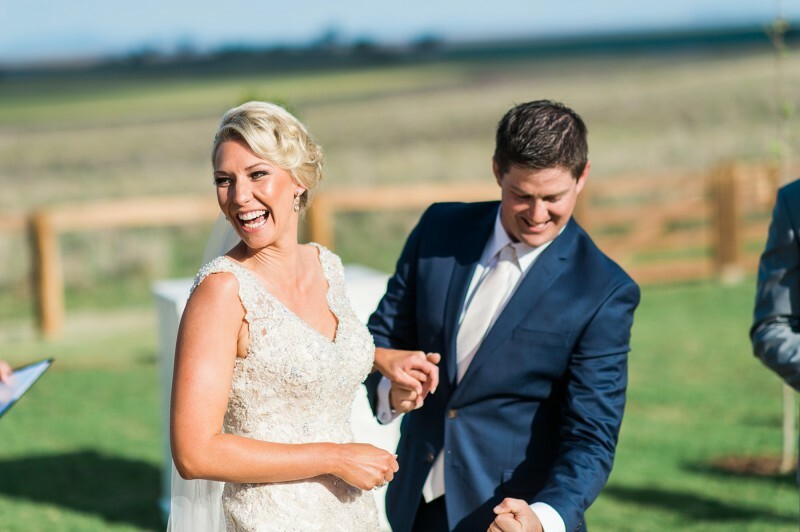 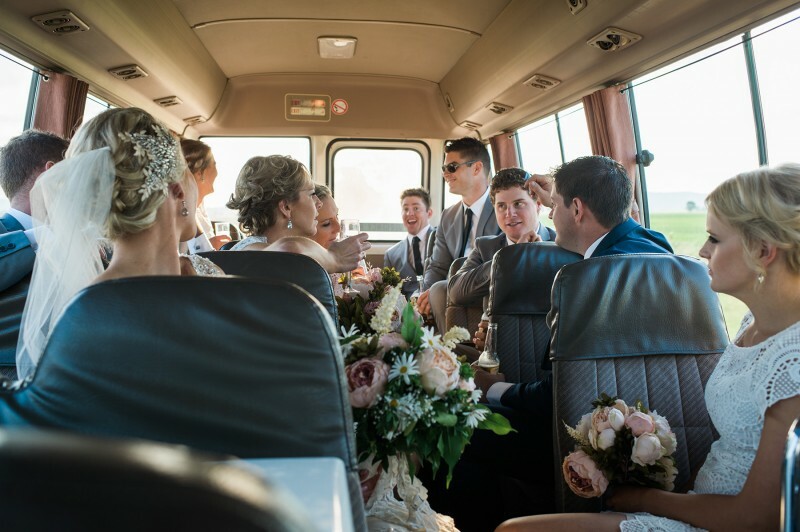 “Deanna [Mitchell] and I grew up in Gunnedah and actually went to pre-school together but never officially met until we both gate crashed a party,” groom Peter Chapman says. 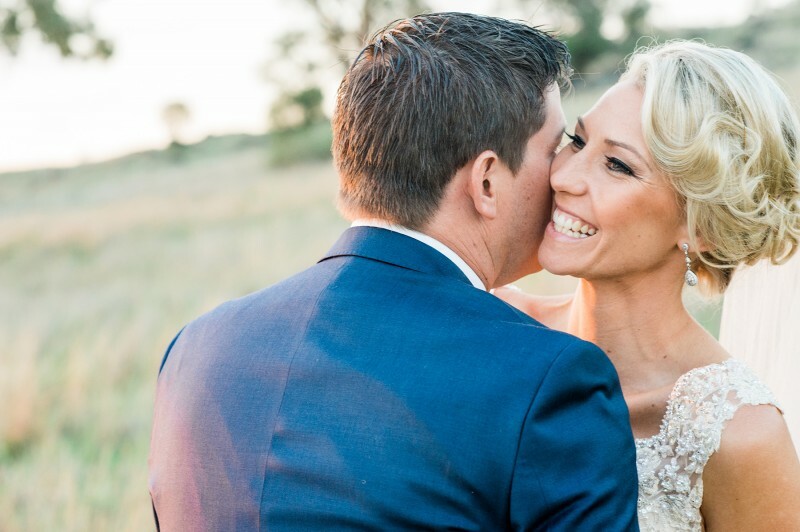 The lovebirds, both 30, became engaged during a family trip just outside Newcastle. 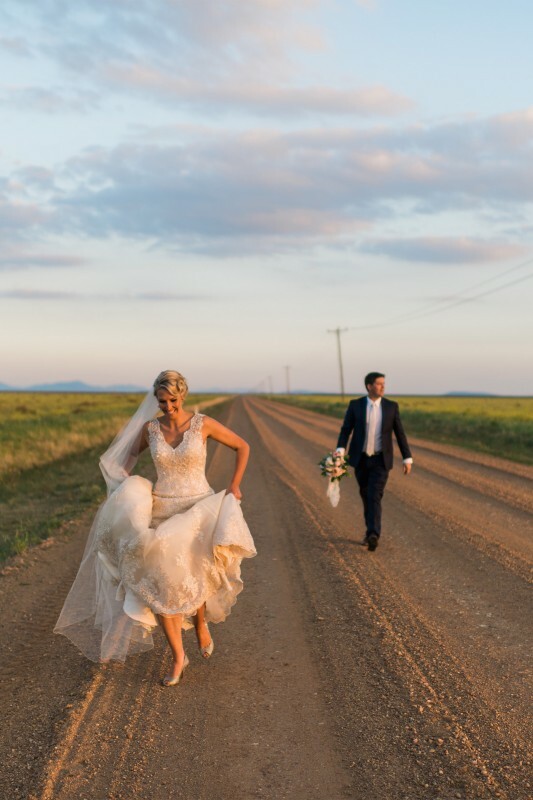 “We had just bought a new puppy and were taking her outside for a toilet break,” explains Peter. 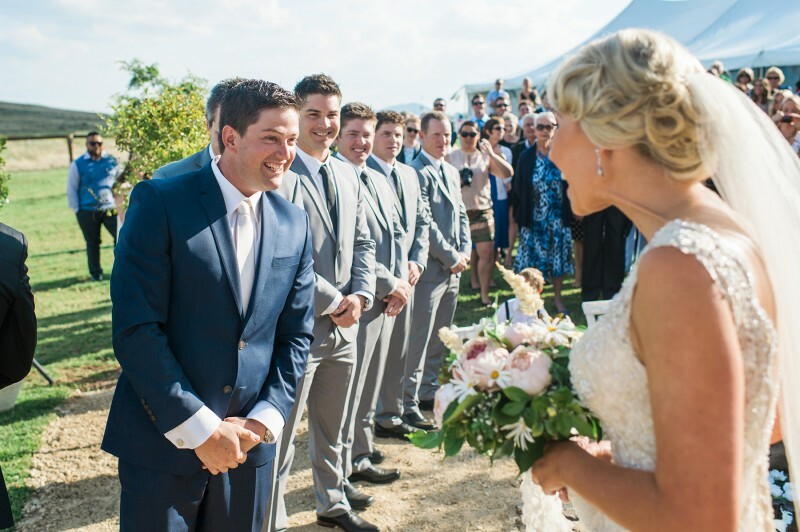 “Little did I know that when our new puppy was doing her business that it would be the perfect time to propose to my now wife,” he laughs. 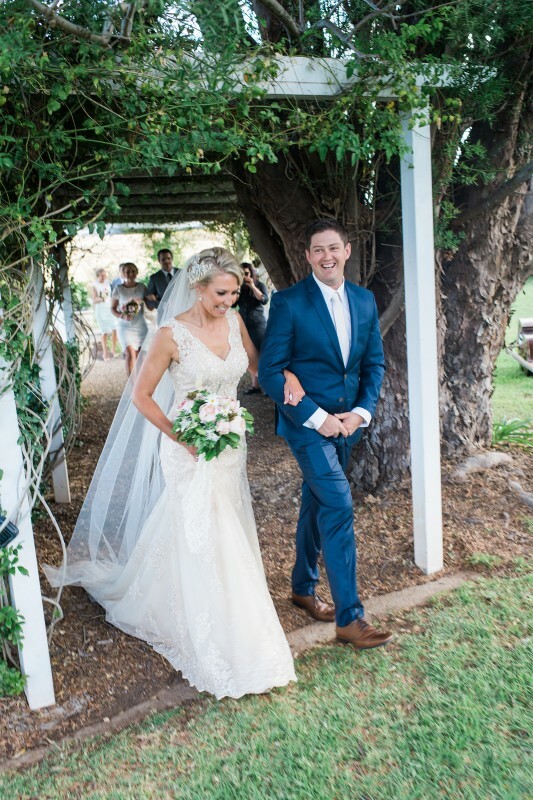 Peter says it was lucky he chose a fake ring for the proposal because when Deanna ran back to the house in shock, she dropped it underneath the decking! 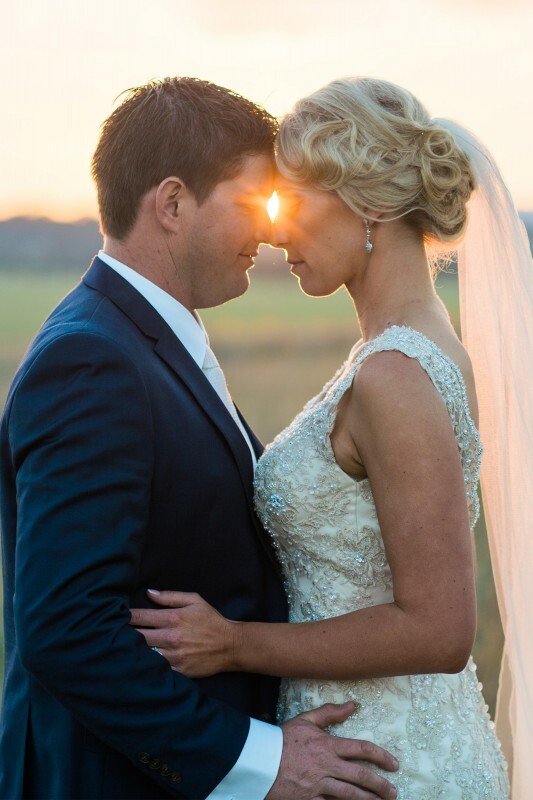 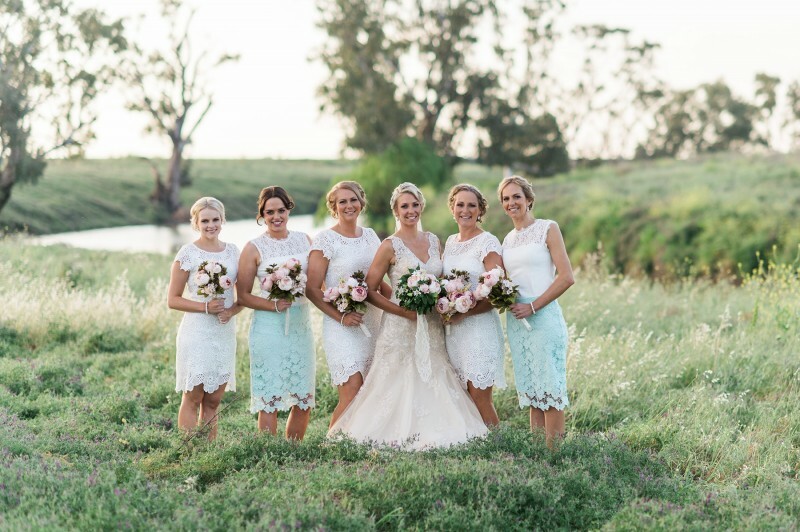 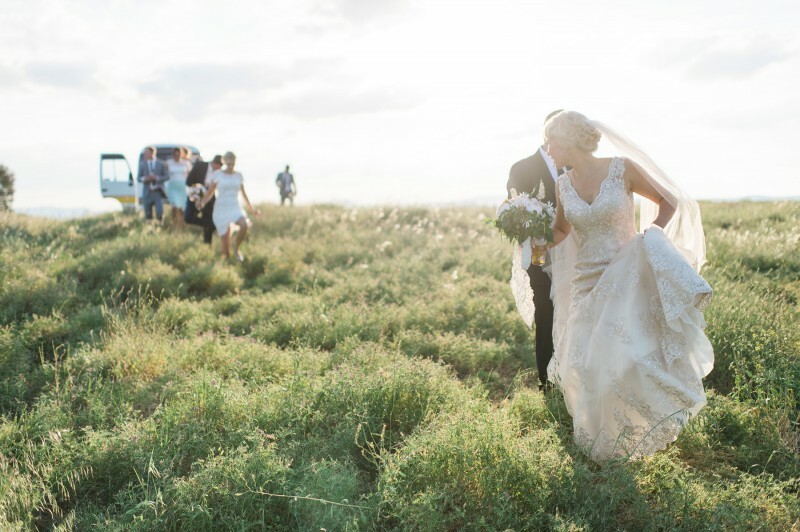 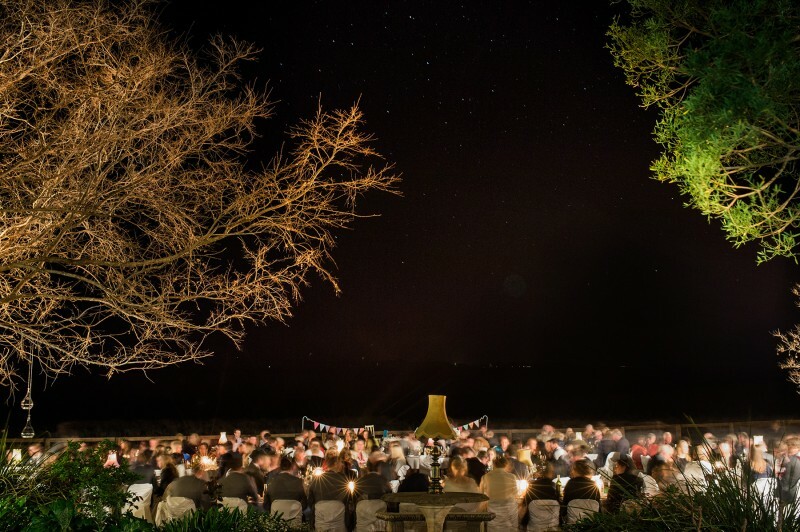 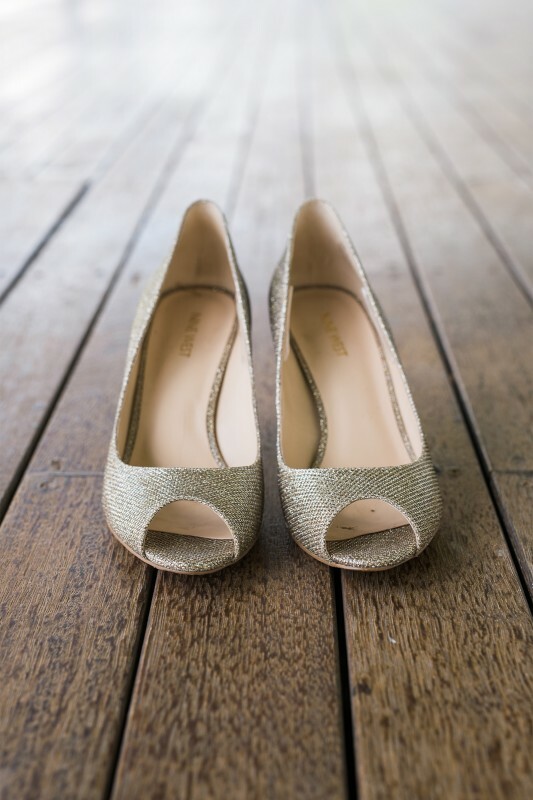 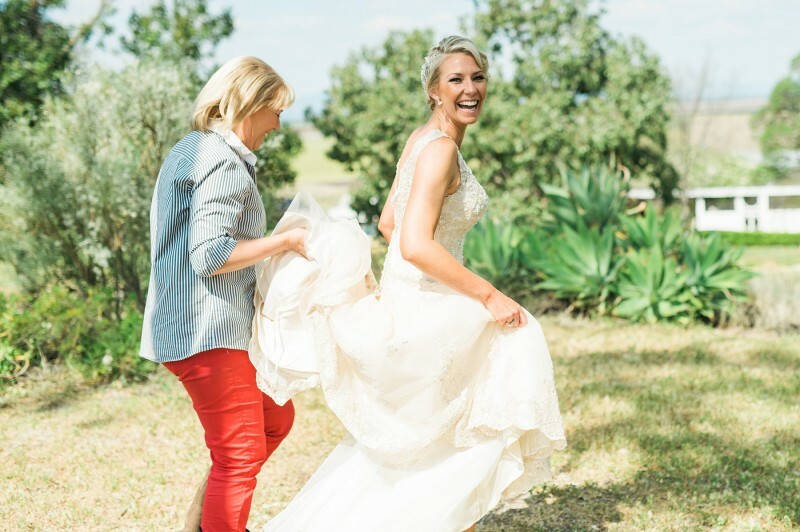 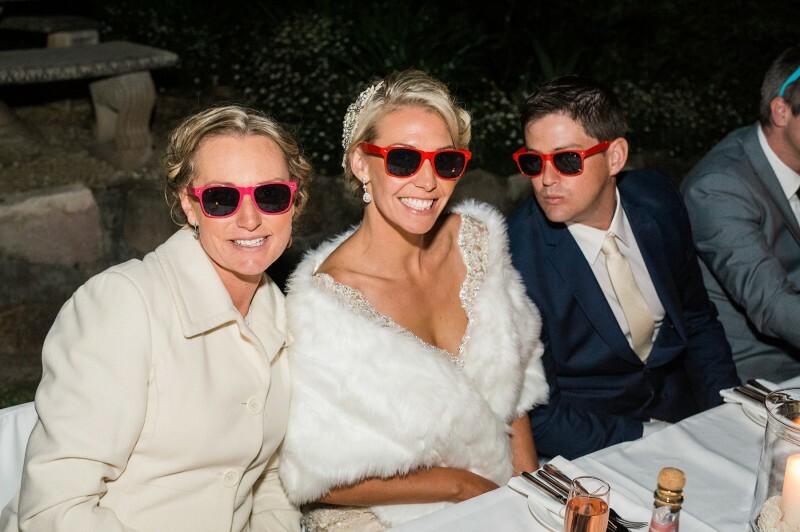 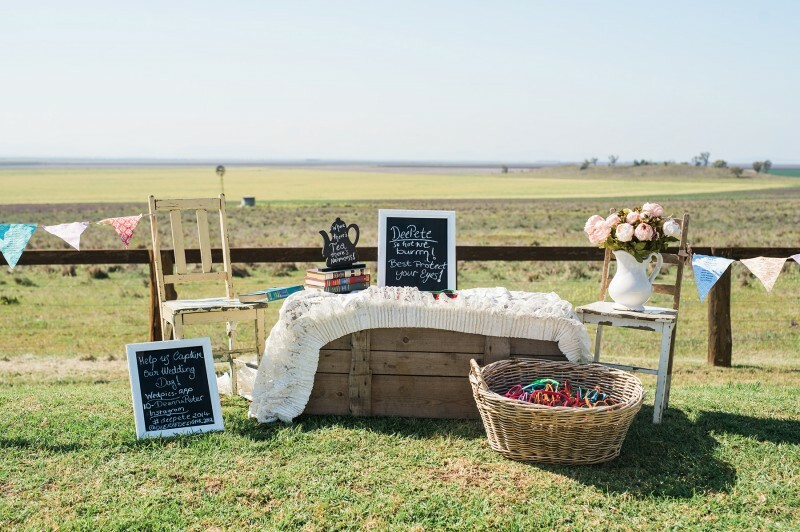 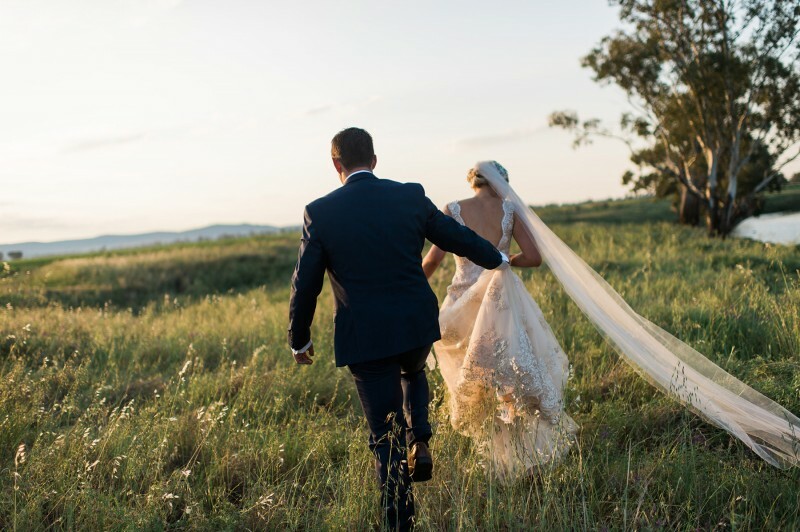 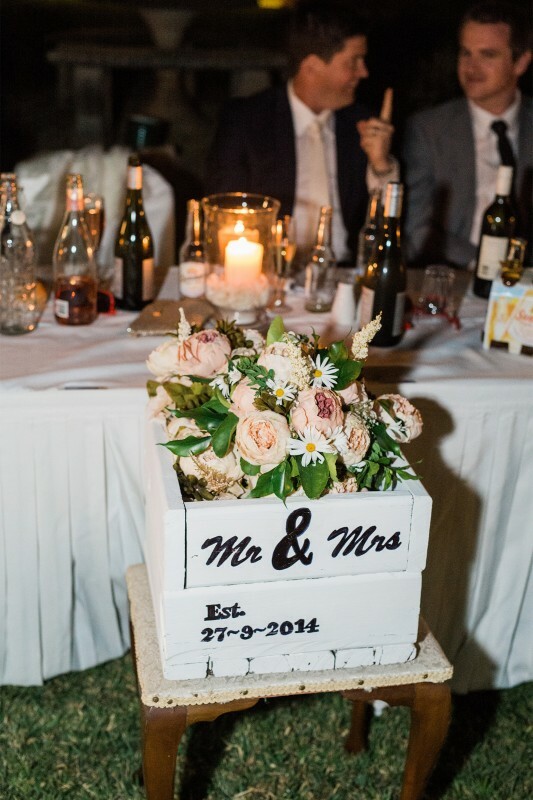 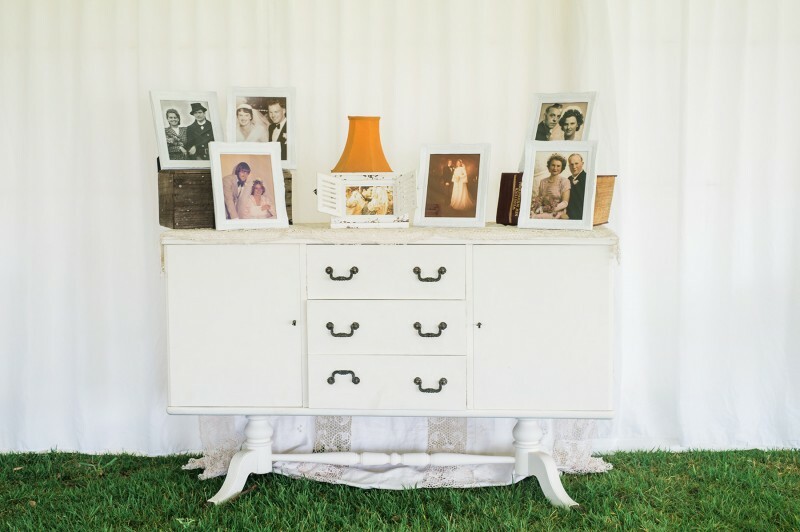 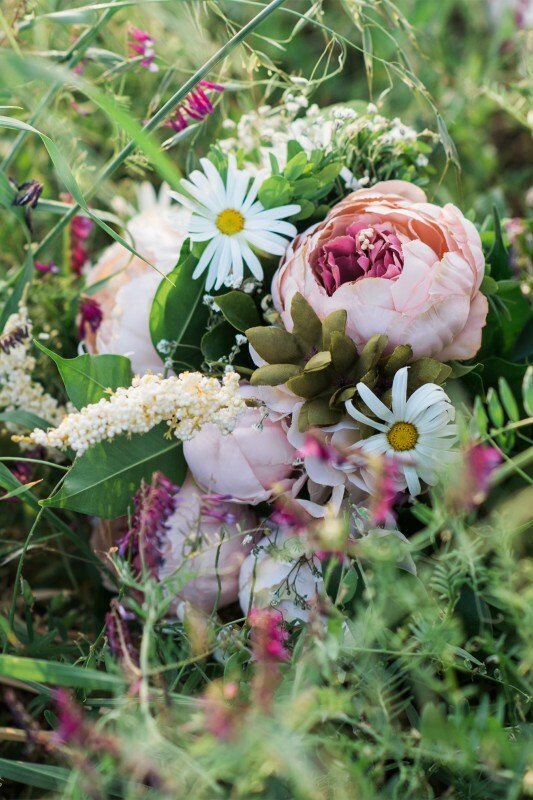 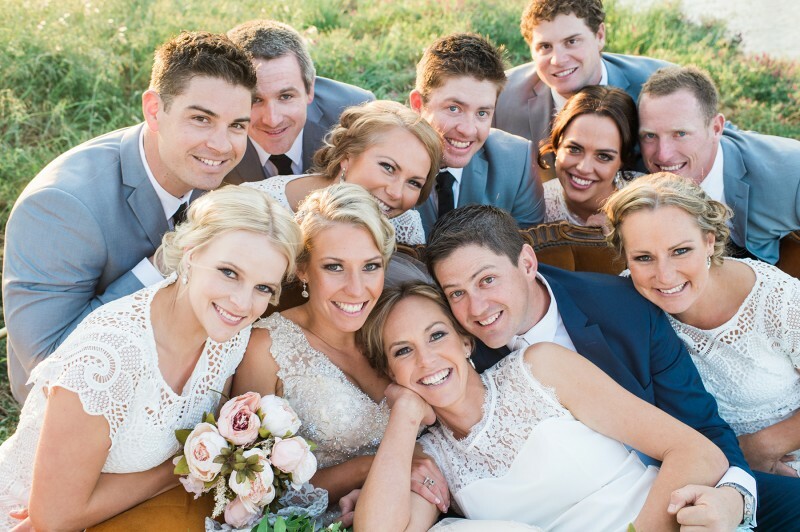 They were married on September 27, 2014 in their hometown of Gunnedah, NSW with a vintage country wedding for 185 guests. 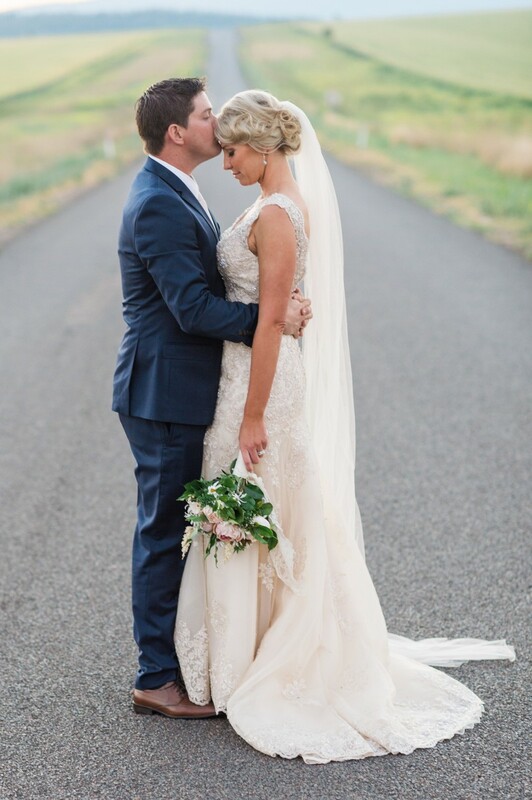 “Deanna has described our wedding as the most perfect thing ever which makes me pretty happy as I think she’s the most perfect thing ever,” smiles Peter. 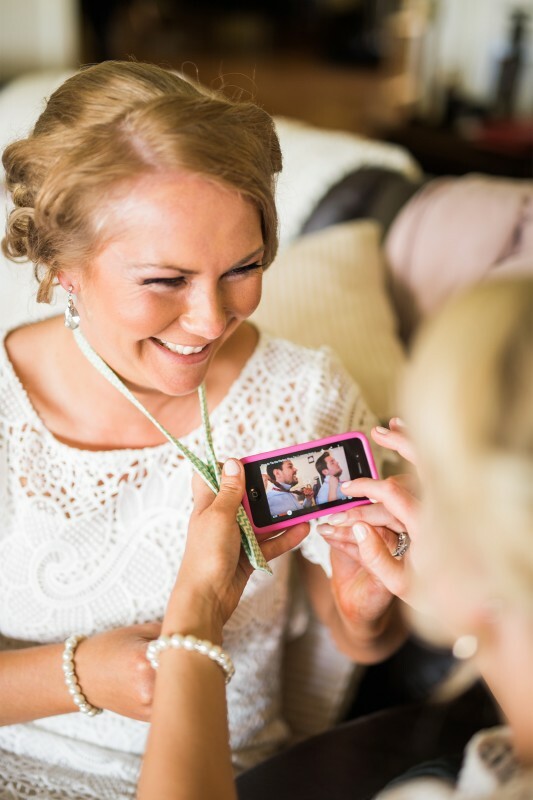 Friend Fanny Lumsden provided the music for Deanna and Peter’s ceremony. 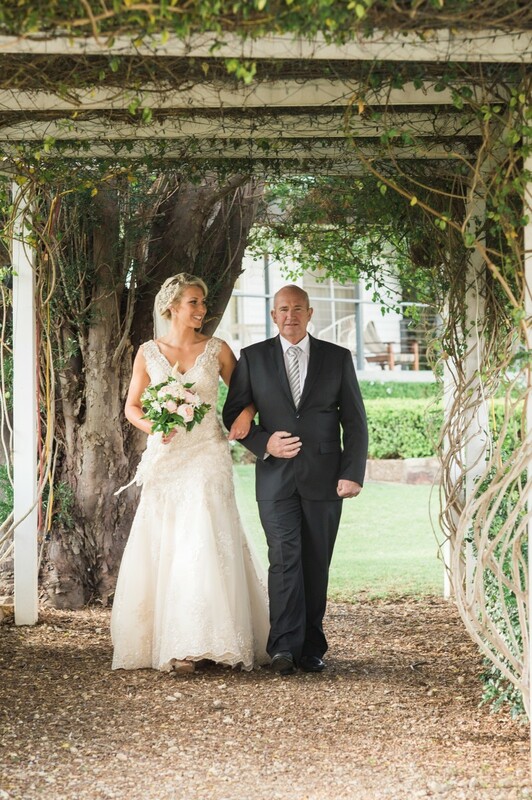 “It was always a lifelong promise that she would sing Deanna down the aisle,” says Peter. 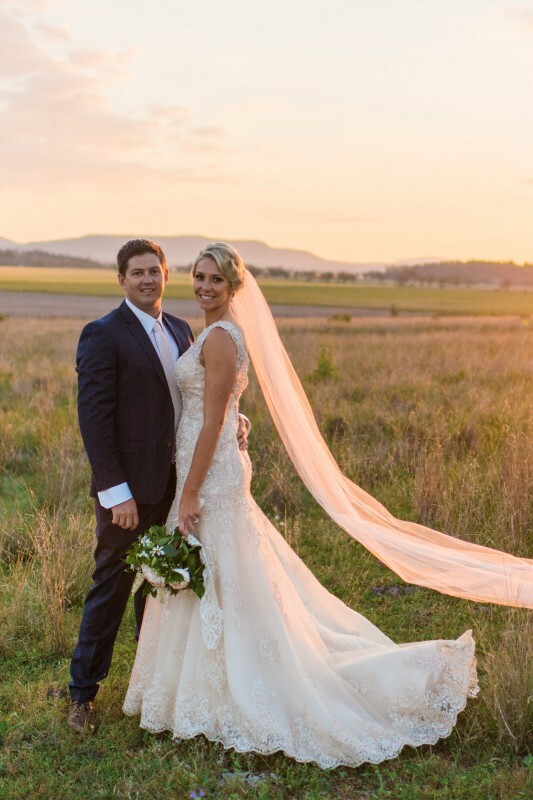 “To have the opportunity to showcase Gunnedah and its beauty to all of our interstate friends made this day unforgettable,” recalls Peter. 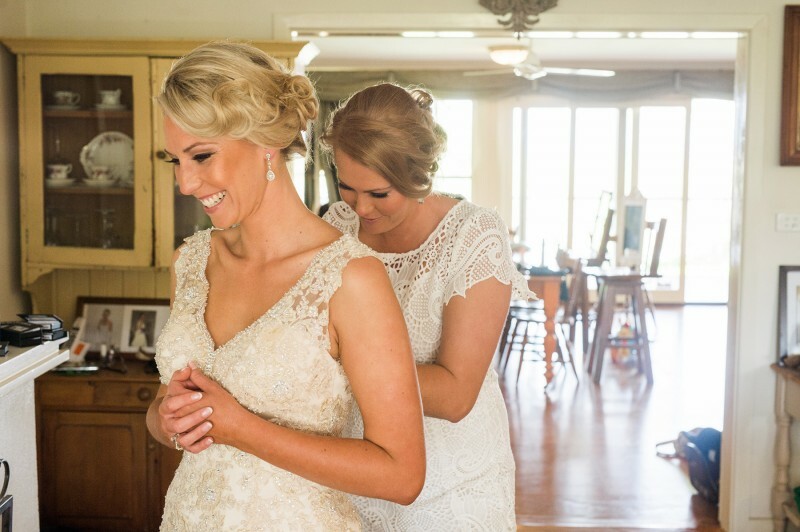 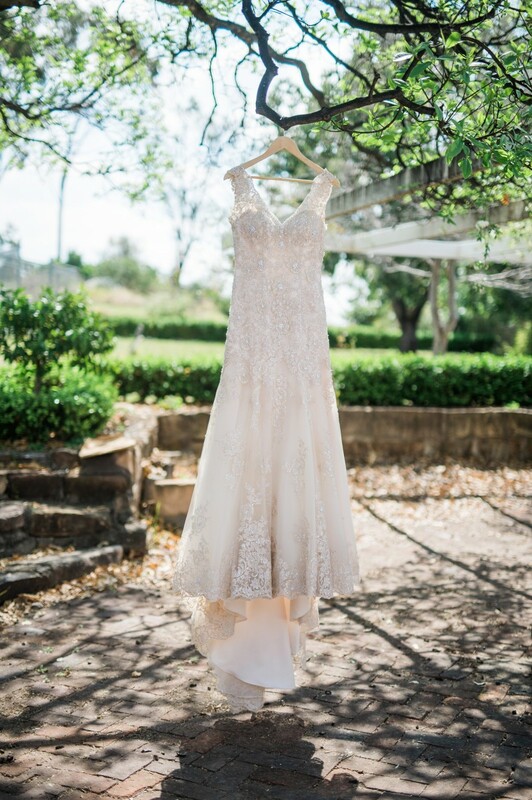 Deanna’s bridesmaid gowns designed overseas were a disaster, so days before the wedding, the bridal party visited Portmans to purchase their beautiful lace dresses. 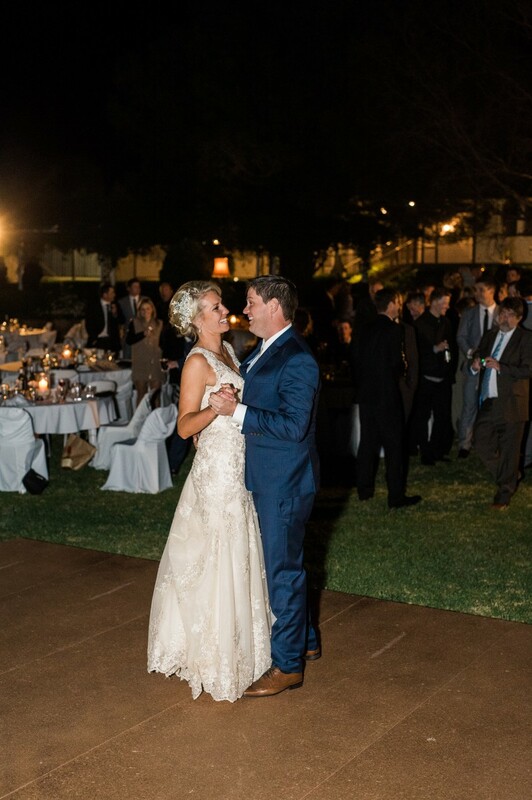 Additional Suppliers: Matt Pengilly and Andrew George (dance floor).